Being around a celebrity can make people do all sorts of funny things, from snapping sneaky selfies to trying to steal scraps of their leftovers. And sometimes, the desire to get close to the famous continues even after the celebrity in question has died. These five notables all had their final resting places invaded by people hoping for a souvenir—or, in some cases, more. German film director F.W. 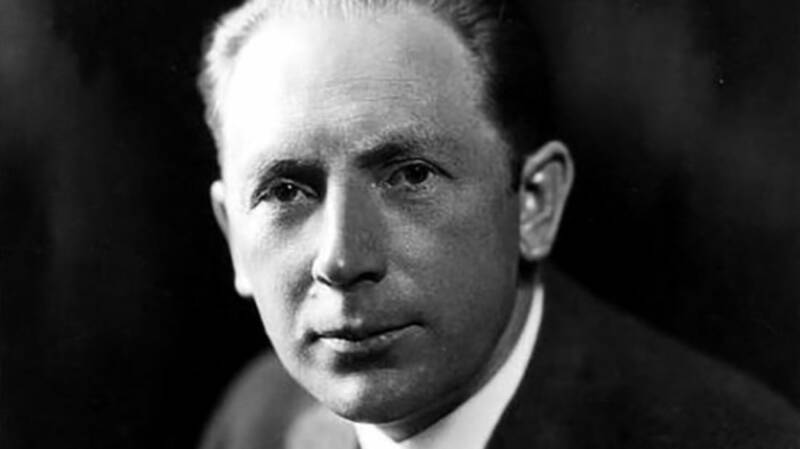 Murnau, best known for Nosferatu (1922), died in 1942. But in 2015, his grave in Stahnsdorf was broken into, and someone made off with his skull. According to reports in the German press, the robbers left behind a wax residue, probably from candles. No one has been caught, but the tabloids speculated that there might’ve been some kind of occult motivation behind the crime. It might also, of course, just have been stolen as a ghoulish trophy. The motive behind the 1978 theft of Charlie Chaplin’s body was much more obvious: The thieves were hoping to hold it for ransom. The silent film star died on Christmas Day, 1977, and was buried shortly afterward. In March of the following year, a pair of opportunistic mechanics dug up his grave and stole his coffin. After stashing the body in a nearby cornfield, they called Chaplin’s widow, Oona, and made their demands: about $600,000 in cash. Oona refused to pay up, saying that Charlie would’ve found the whole thing “ridiculous.” Local police tapped her phone, and even set up surveillance of around 200 phone booths in the surrounding area. Their vigilance paid off, and the culprits—Roman Wardas and Gantscho Ganev—were caught, arrested, and charged. They said they had hoped to use the profits to open an auto garage. Chaplin was returned to his grave, this time with a heavy concrete lid to stop anyone trying a similar trick in future. Technically this wasn’t a grave-robbing, but it’s still stealing from the dead. Romantic poet Percy Bysshe Shelley died in a shipwreck in 1822, and his body was cremated on an Italian beach. But before his body was entirely consumed by the flames, one of his friends decided to retrieve his heart from the funeral pyre. Accounts of the events differ, especially where Shelley’s friend and biographer Edward Trelawny (known for embellishing his tales) is concerned. But Trelawny claims to have plucked the poet’s heart out of the flames, and eventually returned it to Shelley’s widow, Mary. However, some scholars think it's more possible he actually plucked out the poet's liver, which was more likely to be waterlogged and thus survive the flames. Shelley’s ashes were interred in the Protestant Cemetery in Rome. Mary Shelley kept hold of the heart, wrapped up in a silk shroud in her desk drawer, until she died—after which it was buried in the family vault in St Peter’s Churchyard, Bournemouth. After Abraham Lincoln was assassinated in 1865, he was laid to rest in a marble sarcophagus in the Oak Ridge Cemetery in Springfield, Illinois. The tomb was secured with a padlock, and the lid of the sarcophagus sealed with plaster. Pretty secure, you might think, but that didn’t stop a gang of would-be grave-robbers attempting to break in. In 1876, a group of counterfeiters hatched a plan to steal Lincoln’s body and demand a ransom from the U.S. government. Not having much experience with grave-robbing, ringleader Big Jim Kinealy hired an extra man to help out. But he made a mistake by also bringing in Lewis C. Swegles—a government informant, unbeknownst to Kinealy. When the would-be thieves made their move, Secret Service agents were lying in wait in the cemetery. And while the gang managed to saw through the tomb’s padlock and get to the coffin, the lead-lined lid was too heavy for them to lift, and authorities swept in. The gang was arrested, and Lincoln’s remains were buried more securely: in a steel cage, beneath 4000 pounds of cement. Alfred Hawthorne Hill, better known as comedian Benny Hill, died in 1992. He was buried in Hollybrook Cemetery, Southampton, England, in a fairly unassuming-looking grave, but rumors soon started that he’d been buried with large quantities of gold and jewelry. No one knows where the rumor originated, but it might’ve had something to do with the fact that his will was contested, and would-be thieves thought he might have chosen to be buried with some of his valuables rather than parceling them out. Wherever the idea came from, it led robbers to break into Hill’s grave some six months after his funeral—searching for the treasure, authorities speculated. Hill's grave was found open, and a plank of his coffin missing, but the body was (fortunately) left undisturbed. The grave was resealed, this time with a huge stone slab on top to discourage further attempts to disturb his remains.